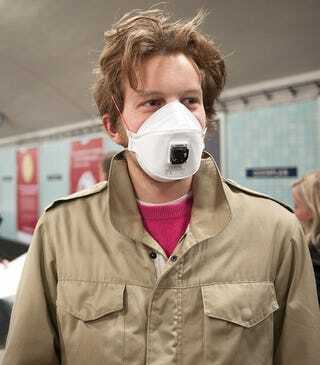 Swine flu: do you have it yet? No? Well why not? You need to get yourself an INFLU mask, stat. Plan your sickness, develop antibodies for the flu and strengthen your immune system the natural way. The INFLU flu collector mask increases the prospect of getting the Swine flu (H1N1) as well as the regular seasonal flu with several hundred percent. Your planned immunity comes by way of a battery-powered fan, which "increases the intake of viruses in ambient air through the respiratory system."